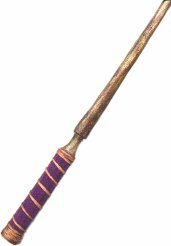 The wand is the instrument of Invocation of Spirits. Its Element is Air, its Archangel is Raphael. 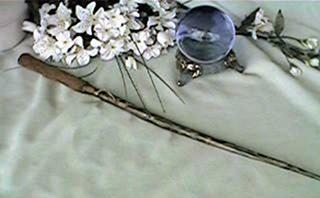 This is a sacred willow wood wand cut upon a waxing moon. It symbolises the life - force within the Witch. 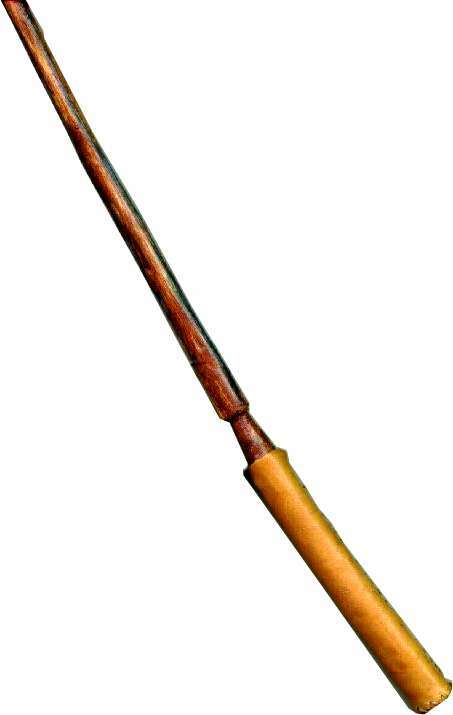 Hand carved from the finest Australian willow wood, with buckskin covered handle. Hand carved from the finest willow wood, with velvet inlaid buckskin covered handle.